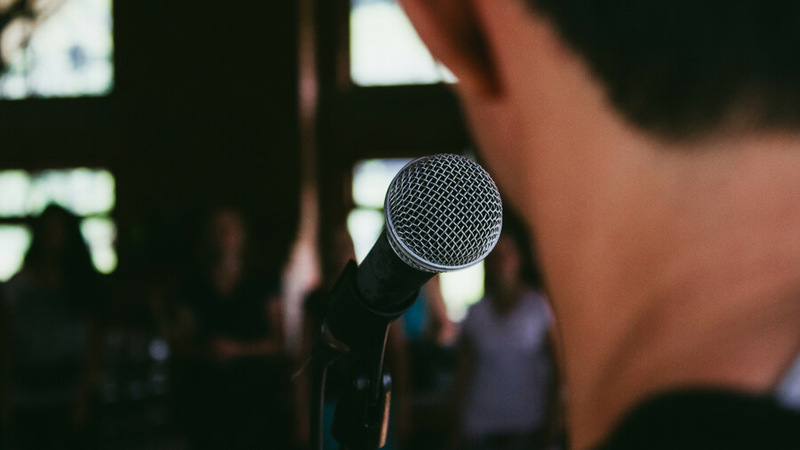 Read our tips for public speaking, from overcoming nerves and perfecting your body language to connecting with your audience and taking inspiration from the best speeches of all time. Being nervous is completely normal when you’re speaking in public. Luckily, some people’s nerves can help their performance as the adrenaline rush makes them feel more alert and focused. However, if you tend to suffer from the physiological side effects of nerves such as shaking hands, increased heart rate and your mind going blank, there are some ways you can deal with them. Reduce the need for worry by being as prepared as possible – practise your speech until you can say it without thinking, perform it in front of friends or family, revise for potential questions from the audience and whatever else you need to so you know you’ve done everything under your control. There are many ways to do this, such as meditation, breathing exercises and listening to calming music. Find out what works best for you and use it next time you need to enter a stressful situation. The best way to connect with your audience is to put yourself in their shoes and think about what they would want to hear. Why are they listening to you? What is the most useful information you can possibly give them? This can help calm your nerves because it takes the focus away from you and projects it onto them, and it puts the audience on your side. This is particularly useful if you are trying to promote a product or service with your speech. Don’t jump into your pitch, but offer some genuinely useful advice or strategies to help win-over your audience. The Q&A can seem like the most awkward part of any speech and it can be seem terrifying because it is the most difficult to prepare for. You can plan by predicting the sort of questions you will be asked and practising your answers, much like you would in an interview. However, it’s also important to realise that it’s sometimes okay not to have all the answers. Try building rapport with your audience by admitting you don’t know something and asking the audience’s opinion – it’s a great way to break down barriers and encourage two-way communication. When you’re nervous it’s easy to rush through your speech, but there are a few advantages to being deliberately slow in your execution. Firstly, remember your audience don’t know your speech as well as you do and they need to understand what you are saying – this also means you won’t get as many questions at the end asking you to go over any misheard points. Secondly, speaking more slowly has more impact, as your audience will be more likely to hang on to your every word. Finally, the quicker you finish your speech, the more time you’ll have to fill at the end. Silence can also have the same impact as slowing down. If you feel yourself saying “errr” when you lose your train of thought, swap this for silence. It will make you confident and collected and will add a dose of drama to your speech.